Buffalo River near Island Park, Idaho, offers the fisherman and boater plenty of exciting adventures in a beautiful and peaceful spot with easy access to many wonderful Idaho sights. Vacationing on the Buffalo River close to Island Park, Idaho will provide any enthusiastic angler with a real fishing paradise for big trout. But that’s not all you’ll find in and around the Buffalo River. Access to the Buffalo River is located approximately 27 miles north of Ashton and about 2 miles south of Island Park on US 20. You can visit the Buffalo River at any time of year, but the best time to come is between Memorial Day and mid-October. There are a number of activities you can enjoy on your visit to the Buffalo River. You will find that the Buffalo River is a great pick of all the fishing areas in Idaho you have to choose from. Rainbow and brook trout are plentiful. Just below Island Park Reservoir, where the Buffalo River joins the Henry’s Fork, there’s an easy place to fish where you’ll find why this junction is famous for huge rainbows. During warmer months, you won’t see a lot of wildlife, but as the weather gets cooler, you may just spot a bear, since this is bear country. Bird life is abundant and you’ll enjoy watching a heron catching small fish at the river’s edge or an Osprey searching for dinner. There is a boat ramp at the Island Park Ramp, so you can get your float trip going. Paddling down this river is peaceful and calming. 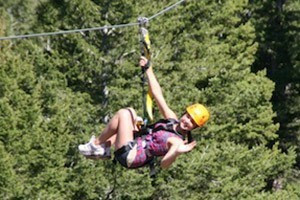 Buffalo Campground gives the visitor the opportunity to stay awhile in this gorgeous Idaho vacation destination. 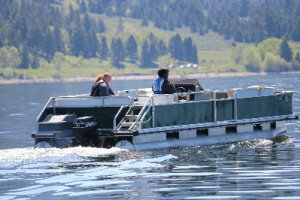 There are 127 sites, pretty Aspen and Lodgepole pines, access to the river and a fishing dock (conveniently wheelchair accessible). Many campsites overlook the river. 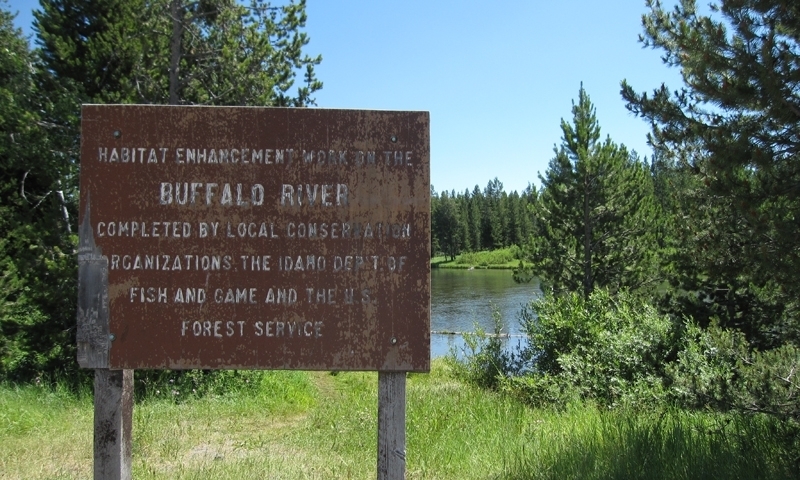 Buffalo River is not far from the Island Park Reservoir, Island Park Dam, the Henry’s Fork of the Snake River, as well as the Big Springs Water Trail. At an elevation of 6,200 feet, the region around the Buffalo River is as interesting as the river itself. Island Park was created from a volcano that collapsed thousands of years ago. Now the area is covered with pine forests and lots of gorgeous wildflowers and has become a mecca of outdoor recreation the year round. The Fall River flows through eastern Idaho.